I feel like I've been waiting forever to post this one! Now that it's officially fall I will officially admit to being a bit basic (okay a lot basic) and completely excited about all the pumpkin items this season brings around. I've never been big on coffee. Aside from a brief stint in high school when drinking a latte seemed like the coolest thing in the world, there's something about the taste that just doesn't appeal to me. 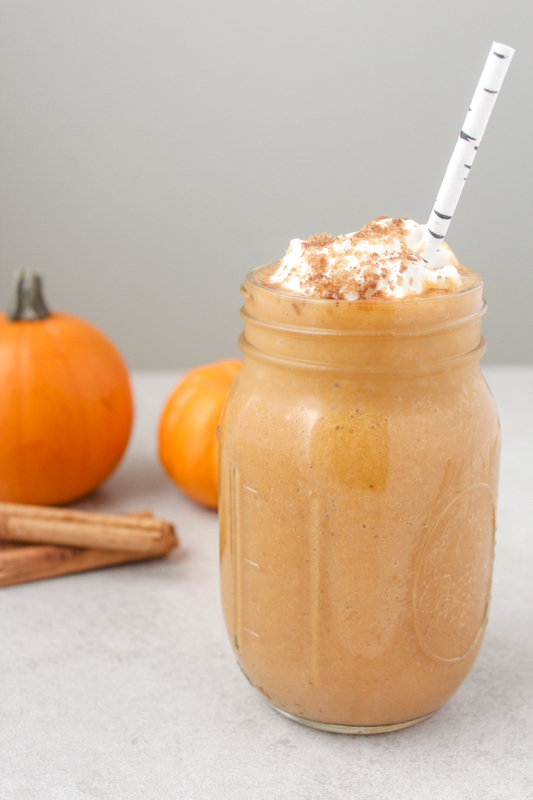 So instead of a pumpkin spice latte, I took the flavors and transformed them into a pumpkin spice smoothie. While not only delicious, drinking it also gives you the added benefit of being a little less basic than your friends who are running off to Starbucks the second their seasonal cups appear. 1. Add pumpkin through coconut milk to a blender and whiz until smooth. Top with coconut whipped cream and brown sugar. What a greta recipe! I bet my husband would love this! This looks absolutely delicious! I'll definitely be adding this to my list of "to try" this fall. 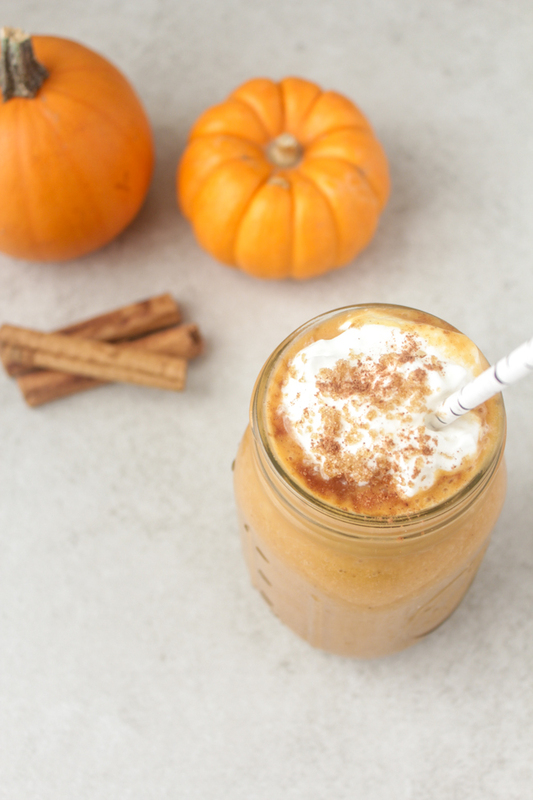 Pumpkin flavored anything during this season is always fitting. Thanks for sharing! This looks so yummy! Great Fall drink. Never tried something like this before. Curious now! Yay! It's super good, you should definitely give it a go! Yes!! Would love to hear what you think. Hahah yes! Is there any better reason to celebrate pumpkin everything? This looks so good and SO much healthier! Yes - it totally is way healthier and super yummy! This looks delicious! I love that it's pretty healthy too - great job!